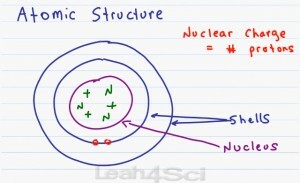 This tutorial video will provide you with a brief review of the 3 main subatomic particles including protons, neutrons and electrons. You will also learn about their location within the atom as well as mass and charge of each. This is Video 1 in the Intro to Orgo Video Series. Click HERE for the entire series. You are an incredible tutor, Leah. Very articulate and thorough. You’ve helped me with O Chem so much. I feel like I have a solid grasp on the concepts now. Thank you! Wonderful to hear, Ana! You’re very welcome! mam your teaching method, style is very interesting , I am also a chemistry teacher , your videos helped me a lot thanxxxxxxxxalot sister. Hi Leah thanks for the video it helps me alot of reminding me the subatomic atoms and structure thanks it really helps me! Hey Leah! I ur videos are so great! They are have helped me so much. You are very welcome Noel. Are you studying gen-chem or organic chem? Hello Mam Leah ! I’m student of M.Sc.Chemistry and I watched Your Tutorials they are awesome just like you. I really enjoyed them. Than you very much …………..
hello thanks for giving many videos for understanding the chemistry. you are really very good tutor for me forever……………………. miss leah you are very gud in making me understand the basics of organic n i thank u from bottom of ma heart i want to understand more about reaxn mechanism…. Thank you Sumit. Which mechanisms are you asking about? Heard about your site thru Med School HQ podcast. I’m 72 and worked awhile at a nuclear power plant. I forgot or never knew what duterium and tritium are, but do now, just their impact in fission reactors. Thanks! Just need time to spend on your site because biochem is so important.